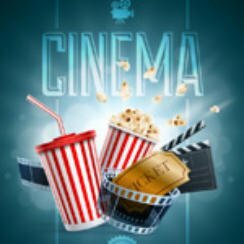 It’s that time of the week when we take a quick look at what films are hot at the cinema, these figures are for UK Box Office August 11 2017. Three new entries on the chart this week, but do we have a new number one? Well Christopher Nolan’s Dunkirk has held the top spot since its release on 21st July and it continues to do so this week despite competition from horror film Annabelle: Creation and action thriller Atomic Blonde. In fact the box office takings between first and second are still surprisingly large with Dunkirk receiving £2,634,839 against Annabelle: Creation’s £1,960,203. The gross to date figures for director Nolan’s war film are even more impressive currently at £44,794,468. Warner Bros must be please this week as they hold first and second in the UK’s top 10 although they must be somewhat disappointed with their new film The Nut Job 2: Nutty By Nature which fails to drawn in UK audiences, barely scraping in at number ten and with it extremely low revenues of £354,276. Elsewhere the much hyped Atomic Blonde enters at three receiving £1,686,430 at the box office. One of the new cinema offerings this week is the film The Dark Tower which is based a story by Stephen King, more on that on Thursday.